Sandeep 's World >> Moon hears the touch of the breeze! 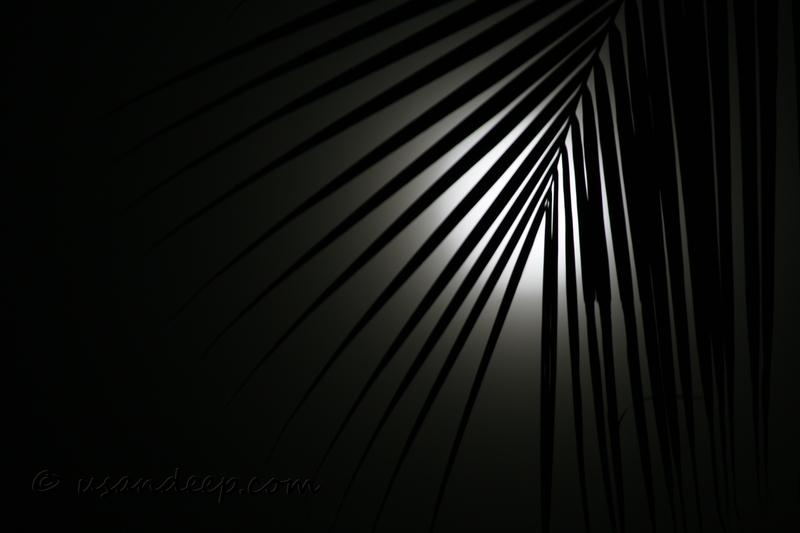 Sandeep 's World >> Thru' the Lens >> Moon hears the touch of the breeze! Moon hears the touch of the breeze! Moon is one of the toughest subjects to shoot, as it is way too brighter than anything else in the night. Also, the relatively distance makes it difficult to bring anything else in the frame at complete focus. For this frame, I neither have the moon nor the leaves in full focus ... but then, may be it is good that way only.